The Chinese character that represents wu is composed of two parts. The first part, “止” means “to stop.” The second, “戈” is a pictograph of a spear. When combined, the term symbolizes the idea of using military power to subdue violent disorder. By promoting peace, Chinese martial arts serve and protect while avoiding conflict. Wushu is a national sport in China, much as Tae Kwon Do is for Korea, football for the United States, or soccer for Brazil. The most popular sport in a country of over 1.3 billion people, Wushu is practiced in nearly every province of China. What is the difference between Modern Wushu and Traditional Kung Fu? Many people do not understand the difference between modern wushu and traditional kung fu. In the US, competitions using routines formalized by international standards are termed wushu. In China, wushu has a far wider meaning, including all forms of combative arts. 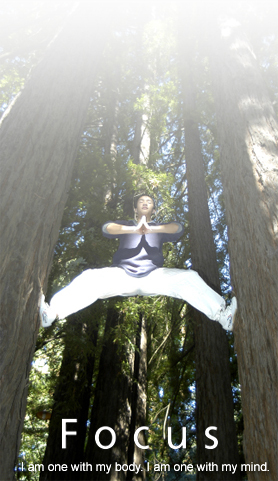 Modern wushu stylizes the techniques of traditional kung fu turning it into a performance-oriented series of precision movements. Modern Wushu stresses hand-eye coordination, but also important are aerial acrobatics, speed, movement, performance, presence and beauty, etc. Wushu has become an athletic and aesthetic performance as well as being a competitive sport; while "kung fu" or traditional wushu remains the traditional fighting practice, some utilizing the bodies internal energy or "chi" and follows the simple principle of "subduing the vigorous by the soft." Want to know more about Wushu? Get a copy of Joy of Wushu! All Images and content on this website is the property of Joy of Wushu.